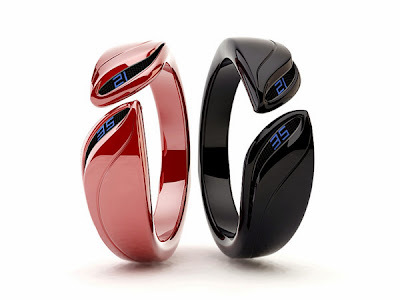 Collection of innovative wristband, bangle and bracelet gadgets from all over the world. 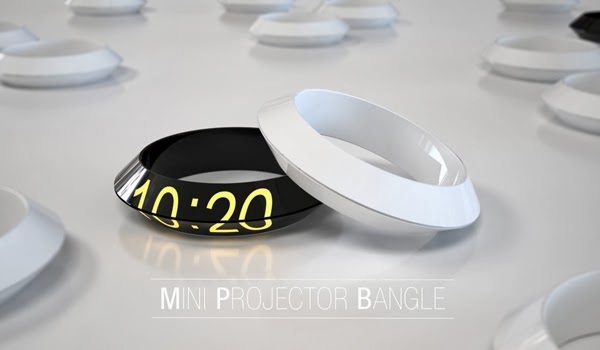 Mini Projector Bangle: This unique concept by Prospective Design Studio features a powerful high defination projector and USB data storage, that allows it to project presentations directly on to any surface. 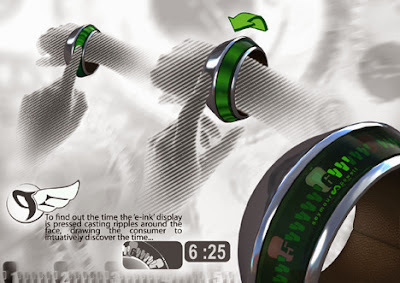 Leaves Watch Concept: This concept watch takes its inspiration from women's fashion; comes in shape of two leaves, one indicates hour while the other indicates minutes. Spinning Time Concept Watch: The Spinning Time Concept by Glen Adkins doesn't give you the time accurately. Instead hours and the minutes are rounded off to nearest tenths. 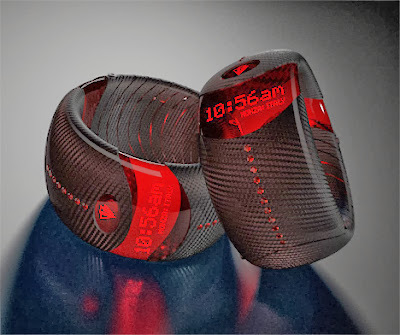 F1/Carbon GMT: Designed by J. Pszeniczny, this timepiece takes its inspiration from F1 race car world and is constructed from carbon fiber, Swarovski, rubber and metal. It has 18 identical rubies and tells the time in all of the 18 cities on the 2008 F1 circuit. 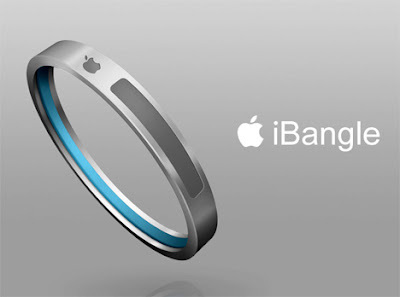 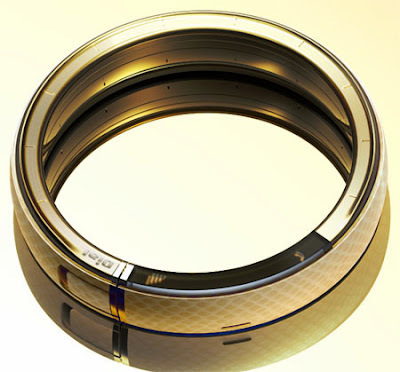 iBangle: iBangle is a design concept by Gopinath Prasana of futuristic iPod; it comes with a multi-touch trackpad. 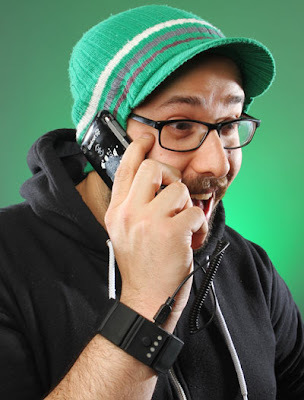 Dial Phone: The dial phone concept utilizes the age-old dial-phone technology combined with a beautiful design; you need to place it on any surface and the phone displays the numbers from interior holes. 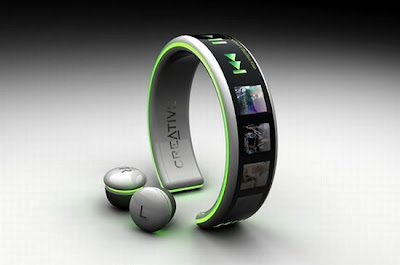 MP3 Player Creative: This portable music player can be worn as wristband and features a flexible display screen. It displays the play list and allows you to select the song or control volume with the touch of your finger. 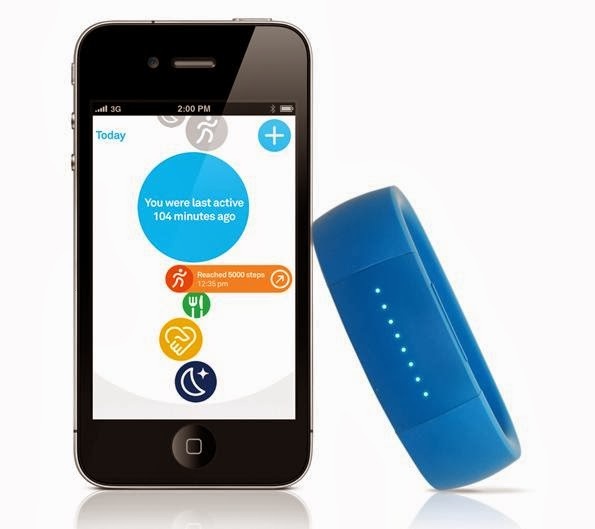 Universal Wrist Recharger: It's a smart portable gadget that can be worn around the wrist and it recharges your gadgets anytime, anywhere. 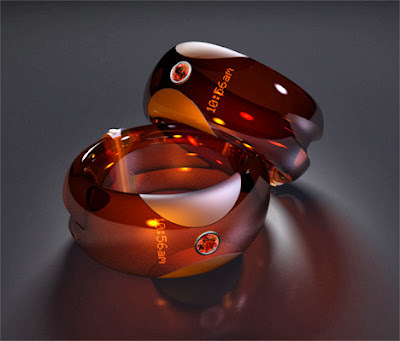 15 Cool Packaging and Creative Packaging Designs - Part 2.